Business Administration Paper welcomes innovative business ideas on the year’s theme – Build A Smart City. 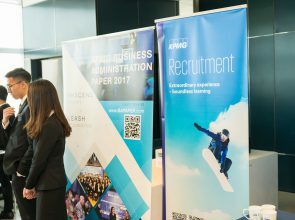 KPMG BA Paper 2018 consists of 3 stages of competition, namely, the First Round, Semi-Final (including the Promotion Challenge) and the Grand Final. For Global Entry, please refer all rules & guidelines here. Full-time undergraduates from all disciplines, with AT LEAST 1 full-time business undergraduates. Each team should consist of 2 to 4 members from ANY local universities. All submission shall be uploaded through HKFBS system (Account Dashboard) by team leader. Late submission of any required materials will be assumed by HKFBS as withdrawal from the competition. No re-submission or modification of any submitted materials is allowed. 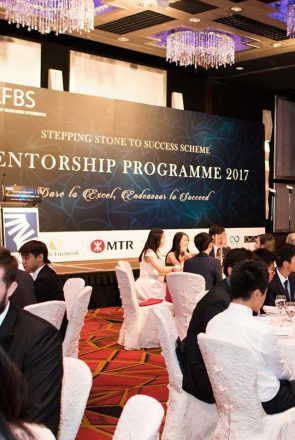 All participating teams must send AT LEAST 2 representatives to attend all compulsory events organized by HKFBS for BA Paper 2018. – Teams that fail to commit to the above requirements may be DISQUALIFIED. Internal Assessment: The length of the Executive Summary should NOT EXCEED 5 A4-sized pages. Times New Roman with font size 12pt and 1.5 lined spacing are required. 1 inch margins is required. ONLY team number is to be placed on the cover page for identification. Names of participants and universities should NOT appear in the Executive Summary. Participants are required to submit a poster to promote the ideas illustrated in the executive summary. The work will be posted on HKFBS Facebook page. Top 3 teams with most “likes” will be given a maximum HKD 500 on 1 like = $1 basis. – Teams which fail to submit materials for Promotion Challenge on time will risk mark deduction. – The evaluation of Executive Summary is the sole criterion for advancement. 15 local Semi-Finalist Teams will be required to submit a 15-page detailed written report with full details of the business included, for example: financials, marketing plan, market analysis, etc. The written report shall be accompanied with an oral presentation in front of the Evaluation Committee (Foreign teams are required to record a video for oral presentations). Semi-Finalists are required to pitch the judging panel regarding the essence of their business plans within 6 minutes, followed by a 10 minutes Q&A session. The 4 local finalist teams are expected to submit a 20-page comprehensive proposal. They are also required to do an oral presentation to pitch the full panel of judges (Academic and Business Evaluation Committees) in the Grand Final. – Participating Teams must attend Grand Final to collect their Certificates of participation.